In reality, this post is just an excuse to share two beautiful trees I’ve walked past in London. The magnolia I found in West London, while the cherry tree I pass on my way to the supermarket in East. I’m moving soon, to central London, which will mean that all three places here that I’ve called home will form a nice neat line through the city. 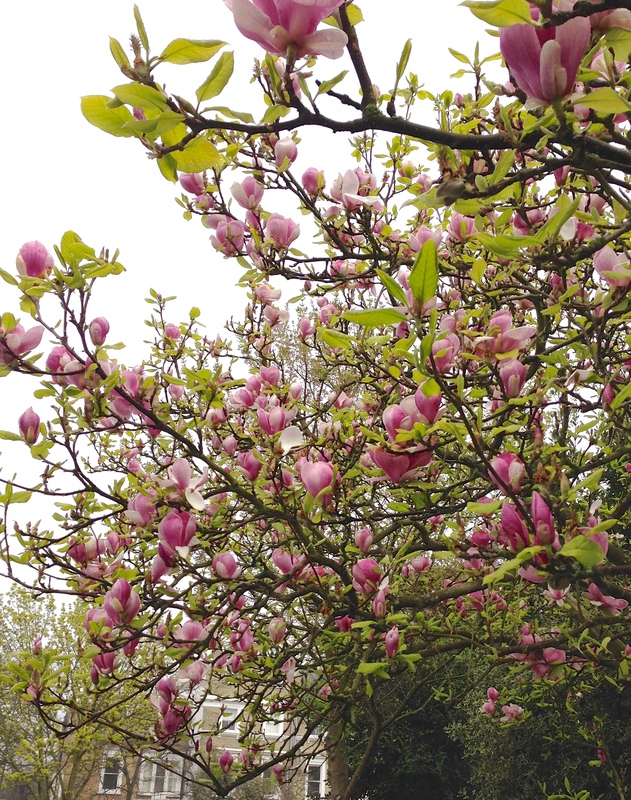 I have very peculiar memories attached to magnolia trees – someone I used to know had one in their garden, and whenever I used to see one I was filled with a strange melancholy feeling that reflected the way I felt about the person. Sometimes I would avoid looking at the flowers so I didn’t have to feel it. Luckily, I don’t have that problem anymore, which is nice because I think these trees are absolutely beautiful, and when their petals start to fall, its just magic. I will never be over how much I love the delicate blossoms of fruit trees. They’re just transporting. 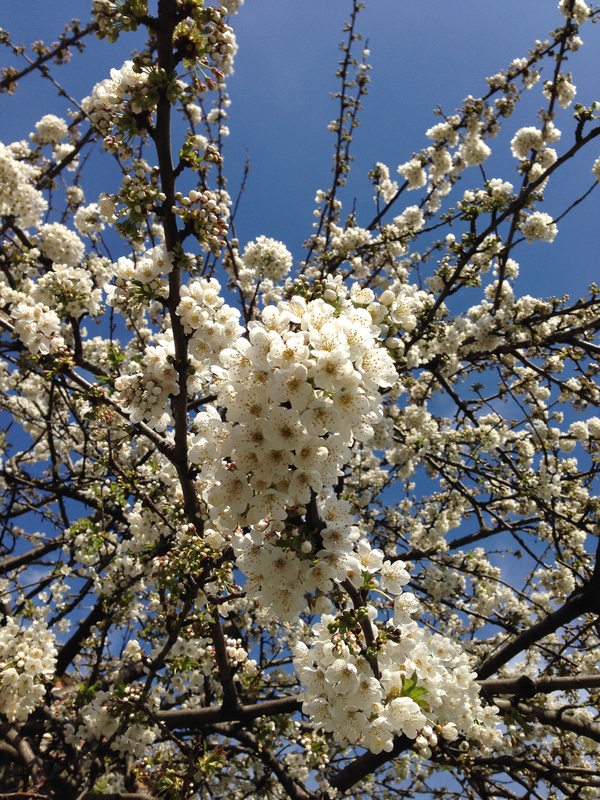 I think this is a cherry tree because of how frilly the petals are, but that’s just a guess. I love the way London is surprisingly full of beautiful trees and plants. More than any other city I’ve lived in, it seems like someone’s really made an effort to make the place look pretty.